Red Sea’s new REEFER Skimmers on display at the 2018 China International Pet Show. If you believe that all protein skimmers are built alike, you’re in for a surprise. Red Sea’s new REEFER Skimmers bring a whole new level of reef aquarium filtration. The skimmers have been designed with hobbyists needs in mind, combining high performance with very quiet operation and ease of use. Let’s start with performance. REEFER Skimmers can keep your SPS tank at an ORP or Redox level of at least 350 millivolts, which is a true indication that the skimmer is constantly removing proteins from the water. And then there’s the quiet operation. By padding all of the friction points and adding a robust air silencer, REEFER Skimmers produce less vibration and less suction noises for very quiet operation. And here’s the kicker for easy maintenance: REEFER Skimmers feature a built-in manual neck cleaner that significantly improves foam production and keeps the skimmer running at top performance at all times. Red Sea’s unique foam-view window, along with a precision-geared valve, allows you to clearly see and adjust the foam level in the collection cup whenever needed. An extra-long valved waste pipe and a quick-release pump holder simplify regular maintenance tasks. Finally, there’s the versatile setup. 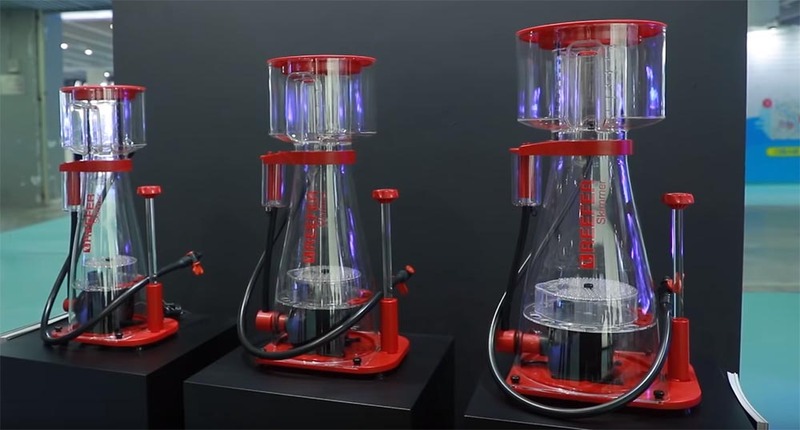 REEFER Skimmers have three different assembly options, so you can position the venturi inlet, the regulator, and the foam view window exactly where you want them within your sump for easy operation. There are three models to choose from. To get the full specs, take a look at our REEFER Skimmer product page and check out our latest product video for a more in-depth view of our new, fully featured protein skimmers. Look out for our new skimmers at Red Sea dealer stores starting around Christmas.